Popular folder for schools. 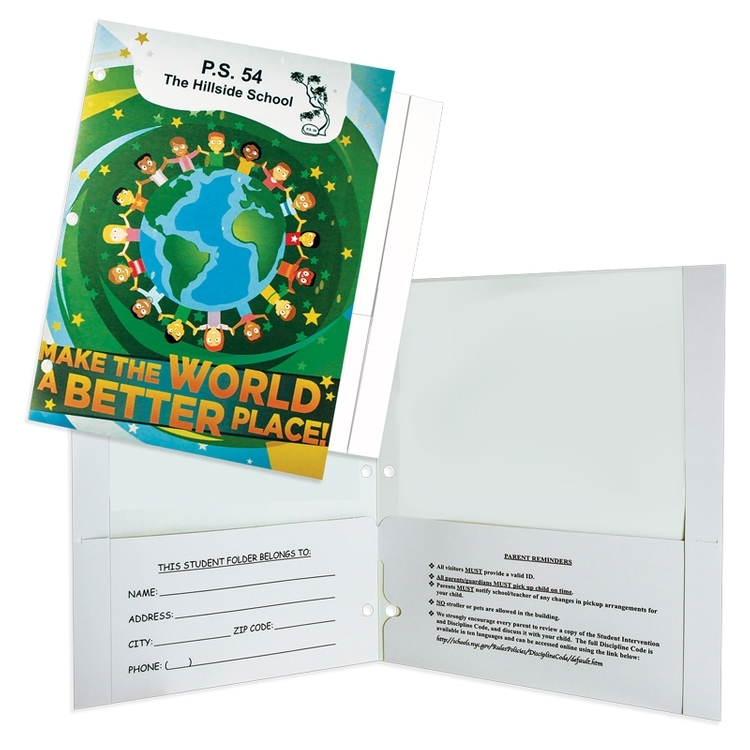 Measures 9 1/2" x 11 3/4" with 4 1/2" continuous pocket, with relief cut-out at spine and 3 -hole punch to put in binder. Reinforced edges. Variety of card slots & slits available. Price Includes : Four Color Process on front and back covers, reinforced edges plus pockets with Gloss Aqueous Coating. Priced on base white stock. Production Time Schedules can often be adjusted based on the specifics of your order.